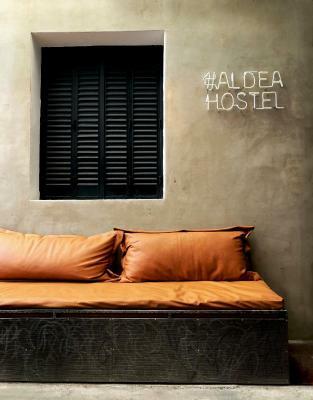 Lock in a great price for Aldea Hostel - rated 8.4 by recent guests. Very, very helpful crew. Breakfast OK (above Argentine standards). Spacy room. Good Internet and hot shower. Lovely clean communal areas, big kitchen with everything you need. The breakfast was varied and the staff very agreeable. Loved the location, which is quiet but close to the center. WiFi worked great. The environment is awesome. 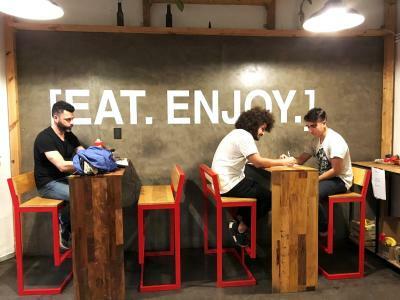 It is a very chill hostel with nice staff and good facilities. The patio is just wow. I would recommend to everyone! Such an amazing place! i stayed in Aldea for a few nights as a guest and my stay has been honestly one of the best ones in South America so far. 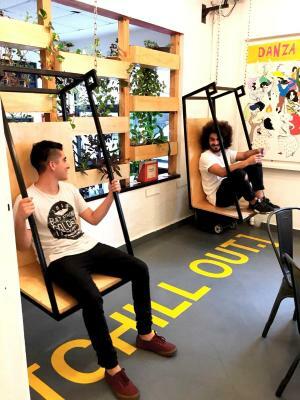 The hostel is massive with a nice, renovated terrace and a great chill out area. 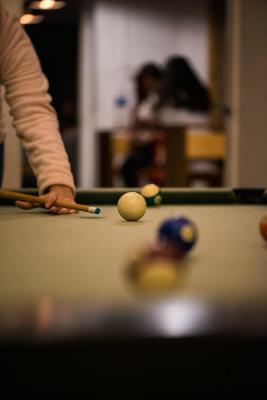 It was really clean and the staff is charismatic and always willing to help. 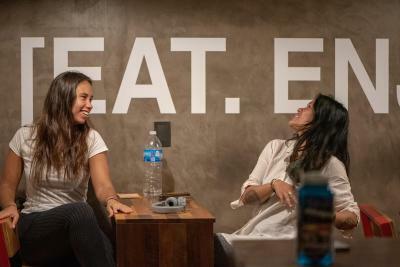 They have everything you'd expect from a great hostel; bike rentals, guitars, cards, and a lot of good vibes. Beyond the rooms and bathrooms beying cleaned constantly, it had a nice kitchen and always some activities happening and even when not, the staff was full of sugestions on what to do around. Location is very central as well. 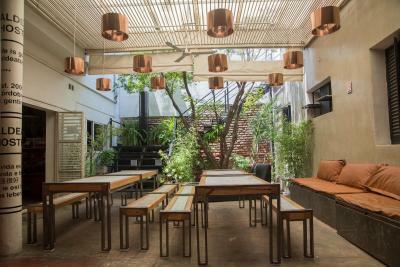 It seems to attract high quality travelers, so it's a good place to meet people and have good conversations. The staff was amazing and really welcoming. You can ask anything at the reception, they will help you. 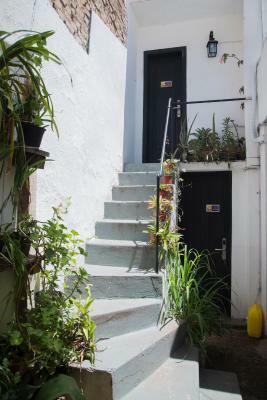 The hostel is very well located, you can walk everywhere from there. 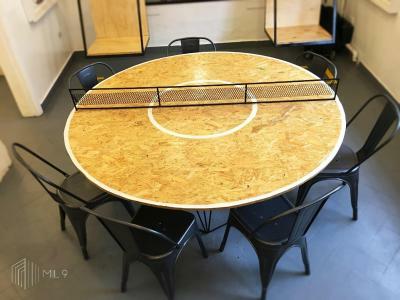 Good hostel with a fair price. Recommended. I had a double room and bed all to myself and I slept beautifully! 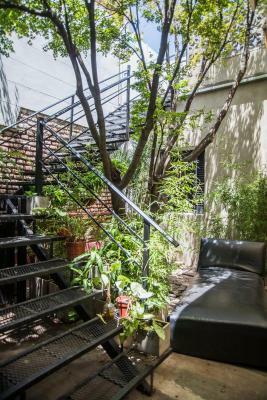 Featuring a fully equipped kitchen, a common TV and DVD room, and colourful decor, Aldea Hostel offers free Wi-Fi and a large terrace with BBQ facilities in downtown Cordoba. Breakfast is included. 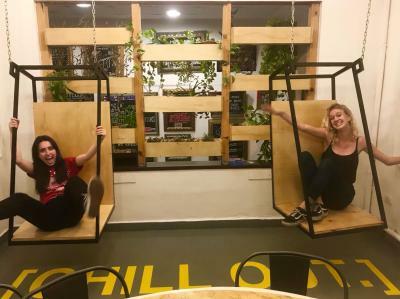 The rooms in Aldea Hostel have private bathrooms and the dormitories have shared bathroom facilities. A large luggage storage space and individual lockers are available. 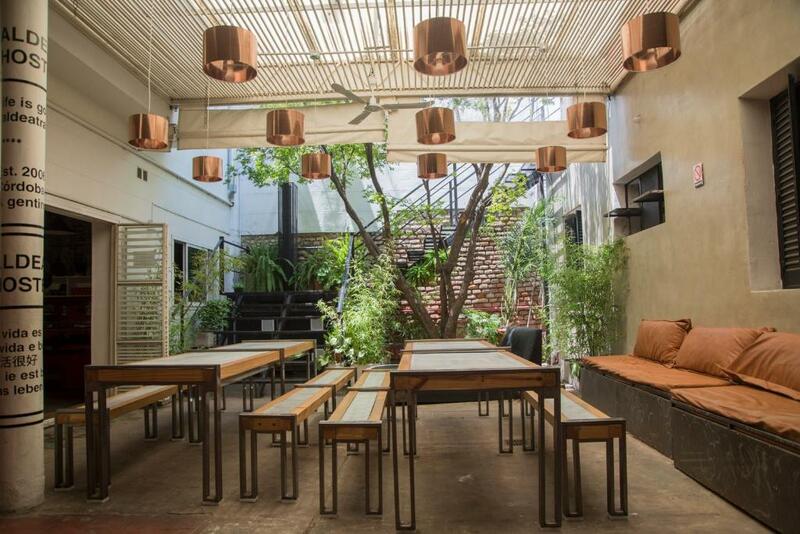 Aldea Hostel has a patio with a bar and is decorated with numerous paintings by artists from around the world. There is a helpful bilingual 24-hour front desk assistance that can provide tourism information. 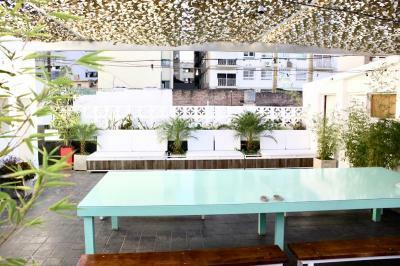 Aldea Hostel is 8 blocks from Plaza San Martin main square, 150 yards from La Cañada, and 450 yards from Suquia River. Pajas Blancas Airport is a 20-minute drive away. Cordoba’s best BBQ diners are 1 block away. This is our guests' favourite part of Cordoba, according to independent reviews. 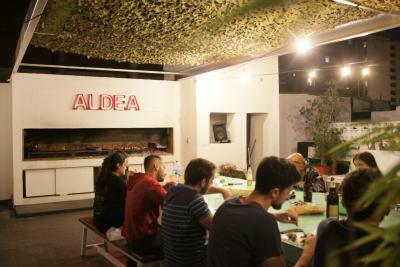 Aldea Hostel has been welcoming Booking.com guests since 27 Mar 2012. 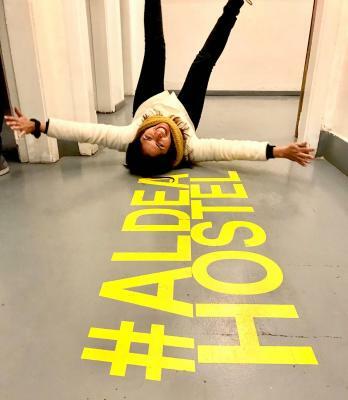 When would you like to stay at Aldea Hostel? This room features a double bed, a private bathroom, central heating and air conditioning. Private parking is possible at a location nearby (reservation is not needed) and costs USD 6.29 per day. 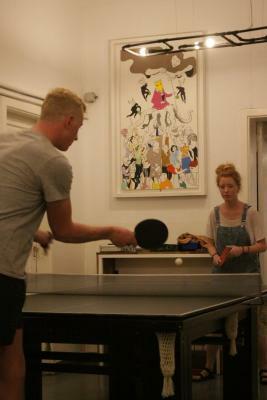 House rules Aldea Hostel takes special requests - add in the next step! Aldea Hostel accepts these cards and reserves the right to temporarily hold an amount prior to arrival. Just personal preference: I'm not a fan of upper bunks when I stay in dorms. I would prefer if the upper bunks had an accessible outlet, or small cubby hole for smaller personal belongings. 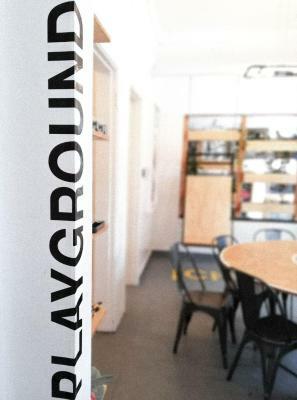 It's a spacious hostel, modern loft-like design with the artwork that make it aesthetically pleasing. The common areas are good for groups, even in the kitchen when everyone is cooking at the same time. WiFi a little slow but that seems to be the case in Argentina in general. The staff were so friendly and really helpful. Both girls on reception spoke English and booked bus tickets and printed them off for us. The common areas are nice to chill out in during the evening. 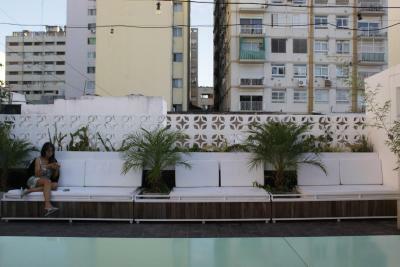 Nice roof terrace too in the sun! A bit disappointing that the weekly activities displayed on the board never happened, I realize that there wasn't many people in the hostel at the time so activities weren't worthwhile but many other guests I spoke to has expected them to happen and then been disappointed so maybe best to not advertise them? Really nice aesthetic! Many friendly and kind staff members. Very nice hostel and nice staff :) would definitely come back! The breakfast was very basic but ok compared to other hostels in Argentina, The bread was very dry and it seems it wasn't fresh. There is only one shower on the upper floor for many guests. they should clean it more often.